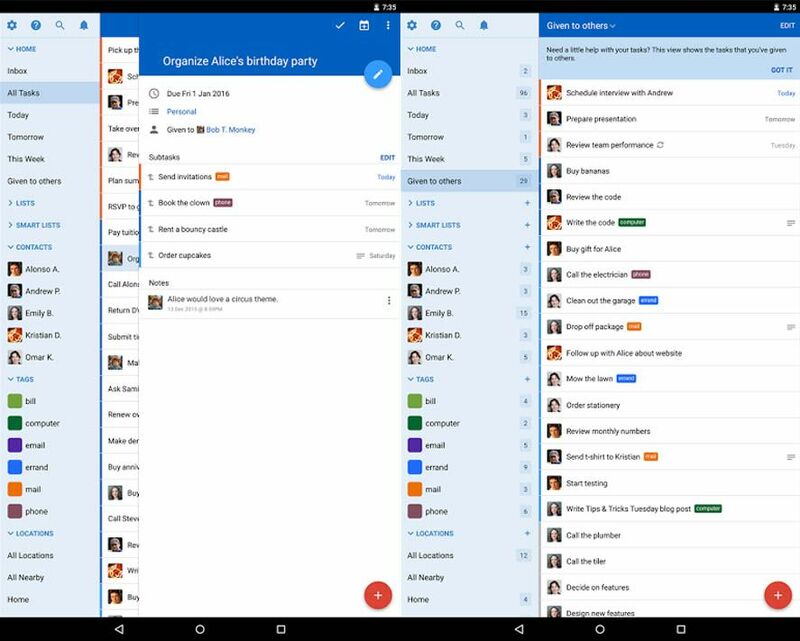 To-do list management apps have by now become part of the basic toolkit for most users. While apps of this sort are a dime a dozen, Remember the Milk stands out as one of the most longstanding among them. Recently it’s rolled out an enormous update that’s completely revamped its interface to better integrate its multiplatform service to make it more homogenous and add new features. As explained on their official website, the client has been completely redone for all platforms: web, Mac desktop, iPhone, iPad, Android, Blackberry 10, and Kindle Fire (the desktop clients for Windows and Linus are on the way). At the level of features, subtasks have been introduced to nest within the main ones, with options to assign different properties and tags to each one to be able to better organize everything in a tree format. To better manage this volume of information, the search system has been improved with operators and adds the ability to use gestures to drag and drop items around your list. When it comes to creating new tasks it’s now much easier to add properties on the go thanks to the new smart bar that suggests options as you type. It’s possible to share tasks with other users and share them over your social networks. To refine the social component the app has added a contact cards system to locate each of the users with whom you share tasks. An integrated notifications system has been added that advises you of each change made, both to your own reminders and through interactions with other people.